Woah! 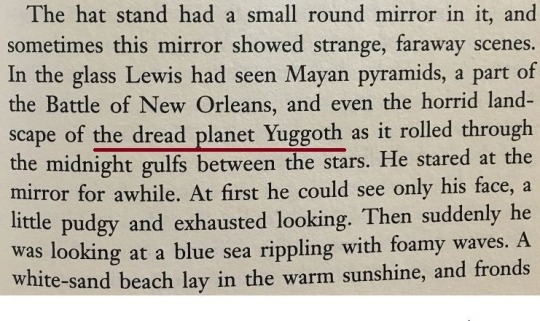 John Bellairs made references to Lovecraft? That’s news to me. 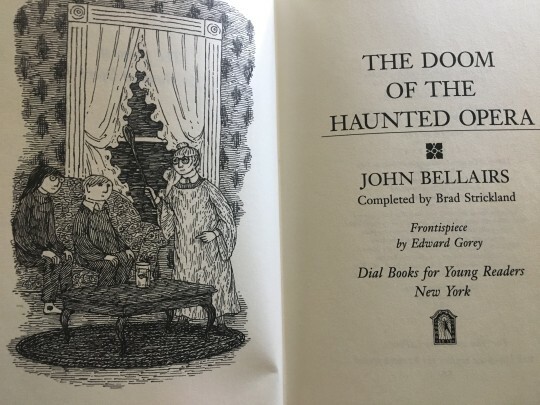 I read John Bellairs back in elementary and middle school (Eyes of the Killer Robot ftw) way before I knew anything about Lovecraft. But hearing this… well, that’s just awesome. They just don’t make authors like Bellairs anymore. My children will definitely be reading Bellairs. He was one of a kind. Sadly, he was only 53 when he died. I can’t help but wonder what the world missed out on. I remember classmates reading Goosebumps when I was a kid and it really bothered me that they weren’t reading the obviously superior John Bellairs. The Curse of the Blue Figurine was my first and is still a favorite. Oh, and then to have Edward Gorey as illustrator? Amazing. Goosebumps… was not really a fan. The twists at the end always left a bad taste in my mouth. CotBF was good, I loved the Johnny Dixon stories.You always remember your first, that’s probably the reason I loved The Eyes of the Killer Robot.